I'm a big fan of herbs and plants (obviously). For centuries humans have used Mother Nature's gifts as a way to heal the body, yet in the modern day we have become far too reliant on prescription medication to cure everyday ailments and aid our mental and physical performance. Of course, modern medicine is amazing, but we should never forget the power of the ancient ways. There are plants that can heal us from the inside out, and improve the way we think and function. Enter the world of nootropics, which support cognitive function as well as promote brain health in the long term. Nootropics are natural compounds that act as cognitive enhancers. They are made either naturally or synthetically, and improve the function of the brain by sharpening memory, supporting creativity, improving motor skills, and promoting motivation. Primarily I am concerned with the natural nootropics, of which a few are listed below. Nootropics support these positive changes by altering the amount of chemicals, hormones and enzymes that circulate in the brain. Effects of taking nootropics include alterations of mood, alertness and stress. The effects of nootropics have been studied widely due to their potential use in combating degenerative brain diseases, such as Alzheimer’s, Parkinson’s, and Huntington’s. Interestingly enough, studies by the NIH show that these degenerative disorders occupy the same pathways that the nootropics seek to activate. There is evidence that these natural ‘brain boosters’ have the ability to boost brain function while improving the health of the brain. The use of nootropics is said to protect the brain tissue from harmful toxins— therefore, natural nootropics may be a guard against aging. Derived from a purple flowered plant, it is known to assist in nervous system disorders like insomnia, epilepsy and anxiety, and to support memory. A well-known nootropic, source of natural medicine and even a food. Gingko has been revered centuries in Eastern cultures as a natural way to improve brain power. It is said to increase concentration, reduces risk of Dementia and Alzheimer's, decrease symptoms of anxiety, and even improve libido and reduce PMS. It is also antioxidant. 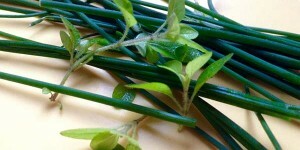 Widely used herb in traditional Chinese medicine practice. It, too, is used to support cognitive function and memory. 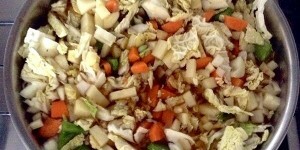 It is also said to boost the immune system and fight infection. Rholdiola is known to improve mental capacity. It also helps reduce stress and depression by acting as a calming agent. It too has antioxidant effects. Though there are widely recognized benefits of supplementing with natural nootropics, the use of nootropics that have been created synthetically has been hotly debated by scientists and researchers, psychiatrists and physicians, who are concerned about the adverse effects of these substances. Always keep it as natural as possible, is my motto! 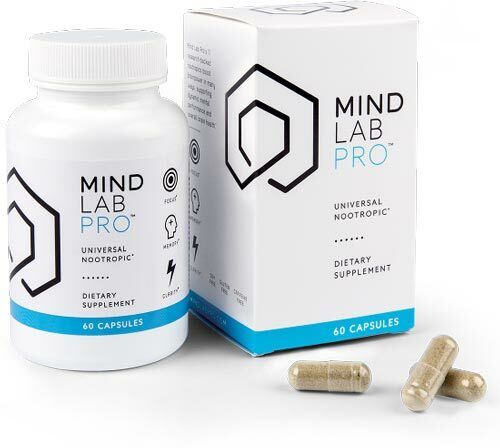 Mind Lab Pro is formulated with 11 research supported nootropics that promote health brain pathways, elevating cognitive function and mood. Those who find that their cognitive function is suffering or those who are at risk for degenerative brain diseases can benefit from taking MLP, after the recommendation of a doctor or physician. There is no need for children to take this supplement, as they are still experiencing critical brain development. What Are The Ingredients and Their Benefits? N-Acetyl-L-Tyrosine – Enhances mental performance with greater benefits recorded as tasks progressed from easier to harder. L-Theanine – Increases activity of alpha brainwaves, which are associated with a state of wakeful relaxation and enhanced creativity. Phosphatidylserine – Phospholipids like PS decline in the brain with age, along with most measures of cognitive performance. Citicoline – Shown to boost brain cell membrane formation by 26% and brain energy by 13.6%. Bacopa Monnieri – Accelerates mental processing, optimize cognition under stress, and promote relaxation. Vinpocetine – and memory in the short term (showing benefit to memory within 2 days). Pterostilbene – Soothing antioxidant properties that help maintain healthy brain function during the aging process. 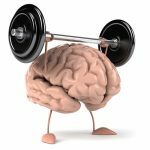 Lion’s Mane – Linked to significant cognitive improvements that declined after supplementation stopped. Rhodiola Rosea – Linked to mental energy benefits in human clinical research. Vitamin B6 – linked in research to mental performance, mood balance and a modest enhancement in the brain’s ability to store information. Vitamin B12 – Helps restore levels needed for optimal cognitive function, bright mood and mental energy. It’s interesting to note that Bacopa Monnieri has been proven to support memory in older patients, as shown in this study. In a double blind study of the supplement, research found that groups taking the substance experienced notable improvements in verbal learning, memory acquisition, delayed recall and depressive symptoms in patients 65 and over. It’s also worthwhile to note that the product contains a dose of vitamin B12, which is significant as many people don’t get enough of the vitamin. Vitamin B12 assists nerve and blood cell function and health. It is responsible for healthy bodily processing and a feeling of vitality. Those who suffer from a lack of the vitamin tend to suffer from fatigue and even anemia. Who Can Benefit From Natural Nootropics Like MLP? Those who work a 9-5: Increase your productivity at work. Go into the office rejuvenated and ready to start the day with a keen focus and mental sharpness. Students that need help concentrating: Consider taking MLP during study and exam periods. Those constantly networking and on edge about social interactions: Take MLB to feel relaxed and gregarious in social situations. What Are the Effects of MLP on the Mind? Mind Lab Pro is a designed to be a mental performance enhancer and supporter of brain health. As a result, those who are working out should feel more driven to perform harder, react faster, and think more strategically. At work, multitasking might be easier. Students might experience an increased ability to study. And socially, those who take MLP might be more charismatic and talkative. It's designed to lift the ‘brain fog’ that we all experience in patches now and again: whether we have trouble recalling important facts or gaining the motivation to go the extra mile — literally or figuratively. This kind of support is critical, especially for ageing minds. The website advises that a positive effect is noticeable within hours of taking your first double dose. For those who take a single dose, noticeable improvements are generally recorded after two weeks. For the long term, MLP could help improve and sustain sharp mental functioning. In addition, it could help hinder brain aging and cognitive degeneration. Is it Additive & Chemical Free? MLP affirms that it is the “cleanest brain supplement” ever to be developed. There are no additives, and only the highest quality ingredients are used from regions where the soils are not laced with contaminants, such as heavy metals and other pollutants. 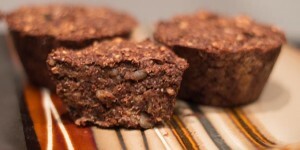 Ingredients are free from GMOs, pesticides, herbicides, and common allergens. This is great news for all those concerned about not just animal products but environmental pollutants. It’s nice to see that a company’s ‘all-natural’ philosophy extends even to its capsule packaging. The affirmation that its source ingredients are grown in clean soils is also heartening, though it would be great if the company could identify the source locations. Is Mind Lab Pro Vegan Cruelty Free? 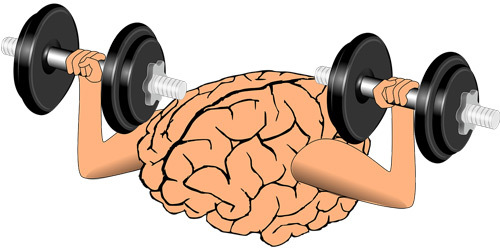 There are many companies that provide products intended to support brain function. However, it’s important to research and ensure that these supplements contain natural compounds that have been appropriately mixed and dosed in proportions that are helpful— not harmful— to human intake. For vegans and vegetarians in particular, it is important that you double check the ingredients of supplements, particularly the casing of gel tablets. Some are encapsulated in skins that contain gelatin: a protein obtained by boiling skin, tendons, ligaments, and/or bones with water, or from HPMC capsules which are designed from synthetic polymers, which are neither earth-friendly nor animal free. The good news is that Mind Lab Pro is 100% vegan. I double checked by emailing the company, and they now advertise the fact on their website. MLP’s capsules are made from vegan Plantcaps, which are constructed out of tapioca. MLP is also gluten-free. How Should I Take MLP? The average dose size is two capsules daily. Mind Lab Pro recommends that users follow this dosage for at least 30 days— consistently— to experience its effects. After you have tried it for 30 days, in my opinion you can cut back to every two days, or whenever you feel brain fatigue. Your body soon gets used to supplementation, as it does with normal drugs. Start a new course when you feel you need it, such as when you aren't getting much sleep or studying for exams. I personally haven't noticed any at all. I feel sharper and able to work for longer stints. Because the product is so clean (no preservatives, GMOs, gluten, caffeine, additives or colors), I'm pretty sure there is little chance of an adverse reaction. MLP also uses ‘Standardization'. This is a process where herbs are lab-calibrated to guarantee an exact level of their active, health-promoting compounds. Many factors can affect an herb’s potency, such as poor growing seasons, time of harvest and environmental toxins. Standardization ensures that despite these variables, the herb will consistently deliver the botanical ”active ingredients” that work to support health. Since standardization supplies customized, precise levels of active compounds, it can also be used to increase an herb’s overall potency. Is MLP Available on Amazon? No, sadly not – so no cheaper third-party vendors. That may be a good sign though! MLP is not sold on Amazon because of Amazon’s lack of commitment to discerning between high and low quality products. Mind Lab Pro would prefer not to be associated with ineffective or low quality products. In addition, buying from the MLP website itself provides consumers with information about the product and the ingredients before purchasing. Shipping Cost & Refund Policy? Shipping is activated immediately after purchase— the product will be sent out on either the same or the next day, depending on whether or not it is a weekend. A tracking number will be sent to the customer within 48 hours of purchase. Shipping is worldwide and most locations can be accessed. Fortunately, returns are also simple. They have a 30 day risk-free money back guarantee. If customers do not see results within this time frame, Mind Lab Pro is happy refund the cost of the supplement (though shipping charges cannot be refunded). Those who wish to return unused or unwanted MLP products must do so within 7 days of product delivery. A support team is ready to assist customers. I went for Mind Lab Pro because of its transparency over the ingredients: why they are chosen, how the capsules are made, no additives, chemicals, pesticides, etc. I would like to know more about the growth/sourcing environment though. The company, Opti-Nutra, pays a lot of attention to the science too. 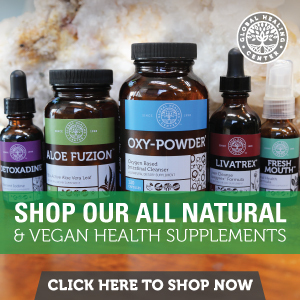 Their website lists scientific reasons as to why particular ingredients are used and their proven benefits and doesn't overly exaggerate claims. They also own their own lab and produce their own products: it's not some third party “garage seller” importing some white-labelled product from China (no offense). 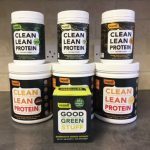 The fact that they source their own ingredients, use measured doses and don't use third party suppliers gave me the confidence to trust in what I am putting in my body. The supplement industry is awash with “natural ingredients”, but knowing the backstory of the product is essential to really know what you are taking. Read the small print, do your research on the company and read the reviews of others to make sure everything is above board, and importantly that no gelatin is included and the product is not tested on animals. I used to take Ashwanganda – which has a range of benefits, including reducing stress, inflammation and cholesterol, and improving memory – and had good results with that. I didn't take it every day though and found I didn't need to. I loaded daily for a month using 1 capsule (as is the advice with MLP) and then I took it once every few days, or as a top-up when I felt I needed to. I do the same with MLP. I don't use the double dose as I am prepared to wait more patiently for the results. From a cost point of view it makes more sense for me too. After the loading period I began taking it only on days I feel a bit tired or “brain hazy” (usually after watching Netflix too late into the night!). It's good quality and safe, IMO. Moreover, emerging studies show really good things about nootropics. There's certainly still a lot more research to be done, using larger, quality control studies, but results do point towards solid benefits and the prevention of cognitive decline. My last piece of advice would be to try and stick to brands like MLP that use naturally-sourced ingredients, as much as is possible at least.